European Military News, Reports, Data, etc. Discussion in 'World Armed Forces' started by sandyj, Jun 12, 2008. I think Polish helicopter manufacturing capacity is really underused. They should license a light or medium helicopter from somewhere else in NATO and manufacture it. On April 8, 2019, the Polish Ministry of National Defense signed an offset package worth 395.882751 million zlotys (about $ 104 million) with Italian company Leonardo. This agreement precedes a procurement contract for four Leonardo Helicopters AW101 Merlin for the Polish Navy. The helicopters will be used for anti-submarine warfare (ASW) and search and rescue (SAR) tasks. The contract for the procurement of helicopters is expected to be signed by the end of the month. The Polish Navy planned to acquire eight maritime helicopters to replace its ageing 10 Mi-14 helicopters currently in operation with its naval aviation (eight Mi-14PLMKs and two search and rescue Mi-14PL/R). However, in 2018, due to financial reasons, the Ministry of National Defense of Poland reduced the number of naval helicopters planned for acquisition to four, postponing the purchase of another four. In February 2017, the Polish Defense Ministry began negotiations on the purchase on a competitive basis for eight (initially) maritime helicopters with three companies: the Polish factory PZL Mielec, representing the American Sikorsky Aircraft (owned by Lockheed Martin; the MH-60R helicopter was offered), the Polish factory WSK PZL -Swidnik, representing Italy’s Leonardo (AW101), and Airbus Helicopters (H225M Caracal). In March 2017, only WSK PZL-Swidnik / Leonardo and Airbus Helicopters submitted their offers. However, in June 2018, the Polish Ministry of National Defense decided to reduce the number of procured naval helicopters to four and revise a number of technical requirements for them, after which, in December 2018, Airbus Helicopters refused to participate in the tender, and the Leonardo Helicopters AW101 became the only candidate. The cost of the contract for the purchase of four AW101, according to Polish media reports, will be about 90 million euros. The offset package agreement signed on April 8 includes nine commitments, the main of which is the planned creation of a AW101 helicopter maintenance and repair center jointly with Leonardo on the basis of the Polish aircraft repair plant Wojskowe Zakłady Lotnicze Nr 1 S.A. (WZL-1) in Lodz. Leonardo also pledged to provide technical support for the operation of the acquired helicopters for 10 years. They already do. PZL-Mielec is the largest S70 production outside the US. They make fuselage and assemble S70i models. In 2007 is was acquired by Sikorsky aircraft who in turn were bought by Lockheed Martin. Those cost estimates seem kind of inflated to me. I would just scrap the Tornados and use the money to put more Eurofighters operational and upgrade them to a standard which allows air-to-ground operations. If the US complicates the certification of the B-61 bomb, which is just a plain old dumb bomb, just use the French ASMP-A. 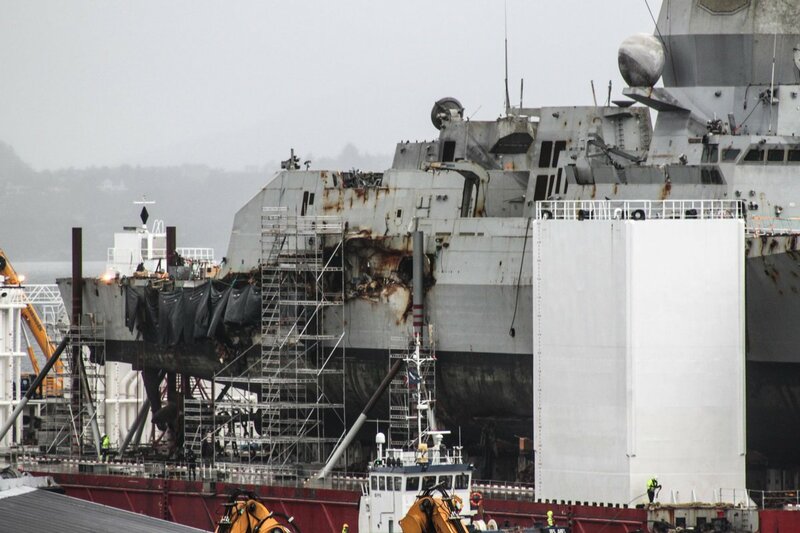 Prior to her raising and transport, the frigate spent several months almost completely submerged after colliding with with commercial tanker Sola TS on November 8, 2018. 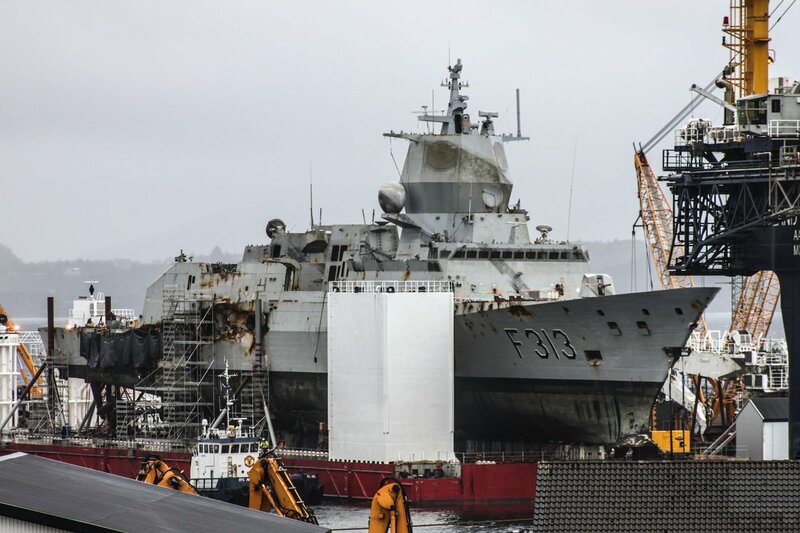 The frigate was transported to Haakonsvern in an operation carried out by Norwegian authorities and heavy lift vessel operator BOA Management. The report is expected to have a significant influence on the Norwegian defense ministry’s decision on whether the ship would be restored or scrapped. HNoMS Helge Ingstad collided with a tanker in the Hjeltefjorden fjord near Bergen at 4:26 (local time) on November 8. Following the collision, all 137 crew were evacuated while the frigate was intentionally grounded in an attempt to prevent her from sinking in deep water. However, the frigate slipped from the rocks and sank almost completely, with only her mast showing.